It began, like almost everything else at Cambridge, late at night over gas-ring coffee. I lived on the same college staircase as Adrian Cowell, and I had gone up to his room one winter evening for a nightcap. He started talking of an idea he had for a combined Oxford and Cambridge overland expedition to Singapore. Six men, one from Oxford and five from Cambridge, set off from London in a convoy of two Land Rovers, to drive to continuously overland to Singapore. The book First Overland, written by Tim Slessor, one of the team, is the tale of their voyage. Largely because of the nature of the expedition team members, the book is chock full of interesting technical information: we learn how the Land Rovers were packed, what that carried, and how they performed. There’s information about food on the road, camping on the road, and relations among the team members on the road. While Offbeat in Asia concerns expedition by a team of two, and In the Circle of the Sun by a rollicking family, this book is very definitely about a bunch of wise-cracking sophomoric graduate students. They’re smart, witty, ingenious, and not a little pretentious. If my landlords at silverorange decided to travel around the world together, I imagine the tale would be similar. While this might not be every reader’s cup of tea, it was mine, and I flew quickly through the book over a couple of nights. The expedition set off from London and headed south-east through Vienna, Belgrade, and Salonika, then east through Turkey, Persia, Afghanistan, Pakistan, India, and Burma and then south-east through Thailand to Malaysia and finally to Singapore. On looking back, the first hundred miles of the Stillwell Road was much easier than we had ever expected. Anticipating very difficult conditions, we had armed ourselves with everything from three weeks’ food supply, to water-sterilizing tablets, from winches to machetes. A part of our success so far was due to luck — the monsoon had been unusually light, and therefore the rivers and hills were not as sodden as they might have been, neither were there any big landslides to block our way. But undoubtedly another part was due to the preparations we had made, and without eight forward gears, four-wheel drive, and winches our overland venture might had have unstuck a dozen times in the first twenty-four hours from Ledo. The book closes with a series of appendices covering medical, mechanical, navigation, photographic, quartermastering, cookery and money issues. There are well-drawn maps throughout, and several sections of photographs. First Overland was a lent to me by my friend Daniel, in December of 2002, temporarily purloined from his parents’ library. It is out of print, but used copies are abebooks.com. 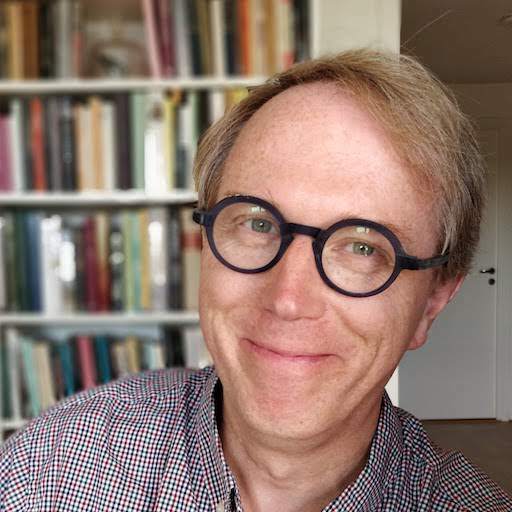 Book Information: Slessor, Tim. 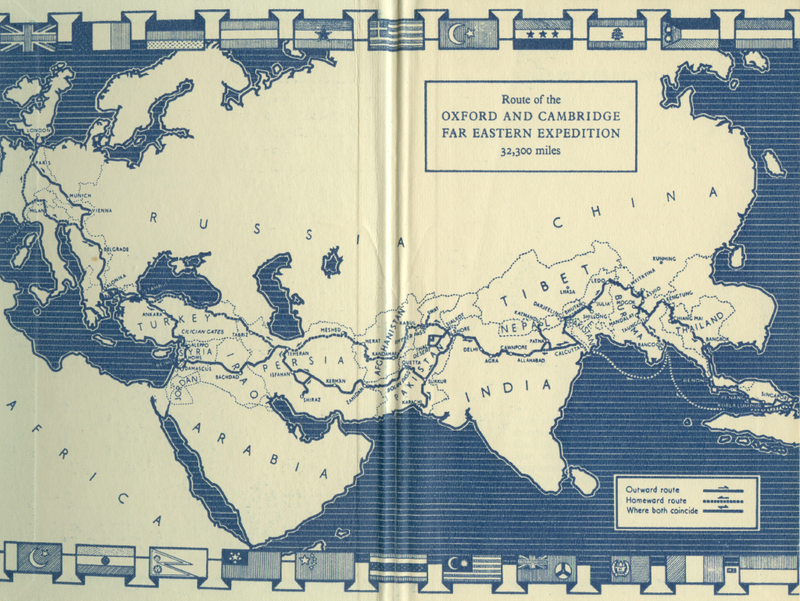 (1957), First Overland: The Story of the Oxford and Cambridge Far Eastern Expedition, The Companion Book Club, London. Written January 14, 2004 at 2:09 p.m. Please could you let me know if there is a video available or CD of the journey, as I saw film footage of the journey on The Car is the Star( Land Rover )a few years back on TV ,I would be most grateful if you could help me in this matter. Martyn, I too would appreciate knowledge of such footage, but, alas, know of none myself. “I have heard that the Heritage Motor Center at Gaydon in England recently exhibited Barrington Brown’s full length movie, also entitled “First Overland”. I have written to them to see if a copy is available. not dead yet ! film now transcribed to digital betacam to save original kodachrome ASA10 (would you believe ! )which is actually in perfect condition having seldom been projected. Pondering, and discussing with others, whether/how to make copies available for sale. 50th anniversary of arrival Singaporeis strictly Feb 06. BBC showed film in three 30min progs in Attenborough’s ‘Travellers’ Tales series in 1956 but not in colour — there wasn’t any ! Please let us know if the footage will be made available. Would be very keen to get my hands on it. I have re-read the book a few times over and would love to put images to the words. I too would love to see the film. I’ve just started reading the book, it’s brilliant. My grandad told me about it as I’ve just bought a Land Rover. What happend to those landys is it true that one was discoverd on a greek island, I wrote to the beeb asking about the film, They didnt have a clue what i was talking about. not a Greek island, but Ascension Island. Have enquired, but only suggestion from there was that the remains were being used as a chicken shed ! I too would love to see the film of your original trip released on video or DVD. I live in Australia, and read a paperback version of “First Overland” in the early 1960’s. It fired my enthusiasm for adventure travel, and finally, in 1963, I travelled with a group of friends in a VW Kombi from Bombay to London. It was probably the best few months of my life; and I took hundreds of colour slides. Fortunately Kodachrome had increased its speed to 25 ASA by that time! My old paperback copy fell to pieces long ago, but I recently picked up a Companion Book Club hardback edition in mint condition, and have enjoyed reading it all over again. Please let us know if the idea of a video release ever looks like becoming a reality. I too would love to get my hands on a copy of the film. I have a copy of the book which I picked up at a car boot sale for 20 pence and have lost count of the times I have read it. I have always driven Landrovers and have two at the moment so the book has particular interest for me. If anyone does manage to find out if the film is available please let me know, I would be eternally grateful. I too have read the book which i found to be very good! I would love to know what the rest of the expedition are up to? Are they still brathing etc?? I live in Australia. Read about the story in Land Rover World and you plans to do the trip again — the Golden Overland Expedition. Bought the book — loved it!! What happened to the plans? The vehicles were purchased and prepared. Last report I read was a mention at the Heritage Run 2004. ‘first Overland’ book to be republished in paperback (signal books) in october. 30mins of film to be aired on BBC4 september, probably later on BBC2. definite dates will be shown here when known. also Nov 25 Sir David Attenborough will be chairing a 50th anniversary show at Royal Geographical Society London. tickets needed but free.contact me. Hi folks. Does anyone have any updates on whether the Golden Overland expedition is taking place? I am in Singapore and am eagerly awaiting any news on the expedition. In any event, we are organising our own little celebration to mark the aniversary of the First Overland, complete with a 50yr old Series 1! If anyone has any information on the first overland or any weblinks, would appreciate a point in the right direction. Our little celebration in Singapore will be taking place on March 4th or March 5th 2006. Guests of honour will be none other than Tim Slessor and BB! may I add my voice to the chorus requesting a Video/DVD of “First Overland”? I read my father’s Companion Book Club edition when I was still at school — actually, recovering from a very severe attack of influenza. I believe it helped my reconvalescence, and may have influenced my decision to aim for Oxbridge (I later attended first Cambridge and then Oxford, but that is another story). I am now on the point of retiring. In the intervening years have re-read F.O. scores, if not hundreds, of times, and always discovered something new. Having travelled that long distance with the Expedition so many times in imagination, I would dearly like to see what some of it was *really* like, even if only in black-and-white! On an off chance, I “googled” for “First Overland” recently and was both surprised and delighted to find that you are back in the limelight. Also saddened that the team is no longer complete. I have just stumbled onto the site containing your answers, so glad to see that you are still around! I used your book as a sort of bible when planning my overland journey to Australia, via Singapore in 1963. Six of us went, in two Land rovers. It was a wonderful experience, and many thanks for all the advice in the book. Both Land Rovers travelled in Aus. one is still there, and I think still running. Mine came back via N.Africa, I then sold it to a university team who were planning to take it back on another trip. Like all the other contributors to this, I would love the chance to see some of the footage you took. Cost is 20 Pounds sterling, and you can pay by PayPal. And no, I’m not on commission from either company! Reckon I would have met up with some of you on the overland trip: 1962-63, Royal Enfield 350 Bullet, 15 months on the road, Singapore-London. Long time ago. It is not at all clear that the Oxford/Cambridge team were in fact the first to drive overland London to Singapore by way of the difficult route through Burma. The Australian novelist FJ Thwaites, with his wife Jessica, drove the exact same route London-Singapore in early 1955, in a Hillman Husky, a conventional two-wheel-drive vehicle. 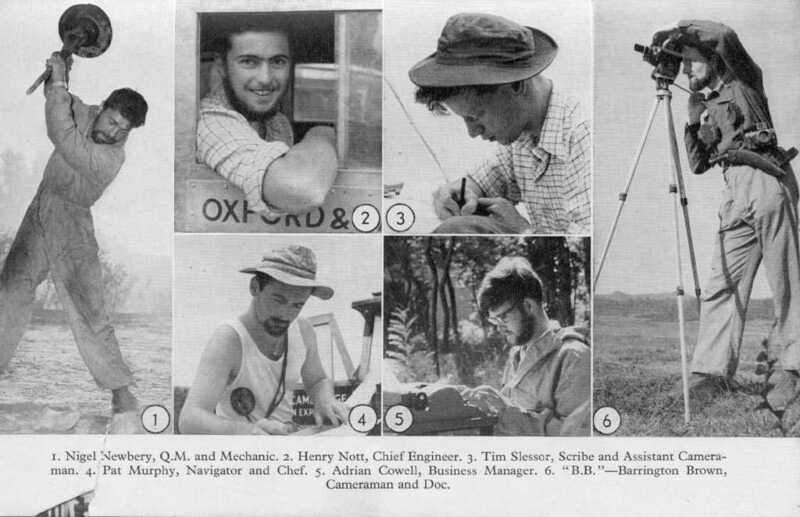 The Ox/Cam team set out in late 1955. Both groups deserve our admiration, but Thwaites does appear to have pipped the Land Rover team to the post. I am trying to get in touch with Mike Wykeham (with whom I traveled overland in the 60s) who contributed to this Blog — can anyone help me with contact details of any sort? My earlier post of May 13 2007 claimed that Oz novelist FJ Thwaites, with wife and young son, beat the Ox/Cam 1956 London-Singapore expedition by way of Burma. I was wrong. Thwaites shipped out from South India to Colombo and finally on to Fremantle. My apologies to those who might have been annoyed at my bad mistake. Mea culpa. On the question of who was ‘first overland’ from London to Singapore, it is worth recording the exploits of an Australian, Francis Birtles. In 1927, Birtles, with two colleagues in a prototype Bean Imperial Six motor car, had to abandon in Delhi their attempt to drive to Singapore, due to terminal mechanical problems. Later the same year, Birtles set out again from London in an older but more robust four cylinder Bean that he had used successfully in transcontinental record attempts in Australia. He had to literally build his own road through the Naga Hills of western Burma, before motoring on through Pakukku to Rangoon. He then continued on towards Singapore, but due to monsoon conditions, had to ship his vehicle from Mergui in southeastern Burma to Penang, where he resumed driving. On arrival in Singapore, he shipped the Bean to Darwin and then drove on across Australia reaching his final destination, Melbourne, in 1928. Birtles’ Bean car, which is preserved in a museum in Australia, was only two wheel drive, of course. This story and others — as Birtles was something of a professional adventurer — are documented in a recent book, ‘Grit — Epic Journey Across the World’ by Peter Wherrett (Ibis Publishing Australia, 2005). I intended to mention earlier that I too was inspired by the First Overland book (and others like it) in my youth and in 1969 drove overland with a colleague from Colombo to London. Our vehicle was a Fiat 600 Multipla (ca 1956), a strange little van-like thing which was commonly used as a taxi in Rome at the time. (It was not particularly reliable, but after many adventures we finally reached London. Multiplas, I hear, are now collectable, an early example the popular MPV). Passing through Teheran on the overland journey I found in an English language book shop a new copy of First Overland (then long out of print) which I still have today. I was delighted to see that, 50 years on, this classic book has been reprinted. Good to see all this. I’m currently writing a book on a selection of these overland trips between UK and Australia (some managing more land travel than others) — starting with Burston and Stokes who rode penny farthings along a lot of the route in 1888! It’s not a complete history of overland travel, but aims to look at the ways overlanders have written about it. Interested in any contacts/suggestions. To Anthony Barrington-Brown and other members of the ‘First Overland’ team — congratulations on your journey. I have just ordered the DVD and look forward to watching it. The overland route from Europe to India certainly seems to be full of history. Apart from the book about Francis Birtles, the next earliest account I have of the overland is a book written in 1988 by Owen Wright and his cousin Ted White who drove a Morris Cowley from London to Calcutta in 1938. In that book they mention many vehicles abandoned at the (then) Indian side of the border with Iran — so many people must have travelled the route before them as well. In 1951 poet Geoffrey Dutton and his wife drove from London to Colombo in a 2-wheel drive car (nicknamed the Turk but otherwise unidentifed) and then shipped it to Australia and drove on to South Australia. 1938 — Wright and White drove in a 1931 Morris Cowley from London to Calcutta. They mention in their book that army officers had occasionally completed the same journey before. After WWII, the UK to India trip became relatively commonplace. I wonder whether anyone knows whether anyone else subsequently completed the full London-Singapore journey by car (or even motorcycle), as Burma became effectively a closed country with the accession of Ne Win in 1962? I would be pleased to hear of any other early Asian overland motoring feats. The third crew member with Birtles and Ellis in the Imperial Six was apparently named Knowles (not McCallum, as one reference states). On his second attempt, Birtles travelled solo from London to Calcutta where a Canadian, Percy Stollery, joined him for the remainder of the journey to Melbourne. Another book on Francis Birtles and these journeys is entitled ‘The Sundowner Bean Car’ (National Museum of Australia, 2003). If I may get a little plug in, to reinforce the mention above, I now have a DVD available (in both PAL and NTSC formats) showing almost all of the footage that appeared on the BBC in 1956/57, plus commentary from Tim, BB, Pat, Adrian and Nigel. Sir David Attenborough also pays tribute to the ‘First Overland’ Team, in an ‘extra’ which looks at the problems of filming in the mid 50s, and what was involved in the digital remastering half a century later. Further to my posts above, I have found a reference (in a history of Riley cars) which says that a 9hp Riley 4 seater tourer ‘journeyed from Singapore to London, 11,000 miles, suffering only a broken front spring’ in about 1929. There are no details of the route. Can anyone shed any light? In 1960 Beth and Ivan Hodge bought a new VW Beetle in London to prepare for the overland journey London to Calcutta. They completed the journey and used Tim Slessors book as a guide and the AA Strip Maps. Guidance from Penns Overland was helpful. We arrived car intact in New Zealand Jan 1962. The car remained in Levin NZ cared and loved by my Mother She died and Beth and Ivan decided to repeat the journey, same car, same marriage, similar journey only difference not camping but “best available”. This second journey resulted in an considerable publicity, NZ, Australia and Germany. A book was worthy and ” For love and a Beetle” was published. An Australian Story also resulted. As at today Wednesday 10 January 2008 the car is still going strong and driven by Ivan most days. Beth and Ivan Hodge live in Mosman Sydney. It all started with “First Overland”. Astounded and fascinated to come across this amount of contribution arising from ‘First Overland’…. Slessor was a source of inspiration to myself and three pals in 1965, who got as far as Kabul but, in order to continue, just couldn’t cross the Pak-Indian border, which was almost permanently closed in those days. Anyway, I reached Oz from Kabul by rail, bus and hitching, via Nepal, Thailand and Malaya and drove back, married, in 1968 in a new Peugeot 404 station wagon, picked up in Singapore. Burma being closed (we tried! )we bypassed it by shipping on the SS Rajula from Penang to Madras and drove the rest of the way to Northanmptonshire in rather more comfort than the dear old Landy had afforded oubound. Odd fellow-travellers encountered on the two trips were: a very big chap riding a 50cc Honda moped, an Austrian trying it on a Steyr-Puch farm tractor, several boys in a Wilts and Dorset Bristol double-decker, Clive Ball in his 1930 Austin Seven (read Travels with Samantha), another Seven with, I think THREE chaps inside it, which I saw slid into an Ariana aircraft side door on its way out to somewhere from Kabul, and a family which set out to do it in an ex-army DUKW, sailing where they couldn’t drive. Some of them got through…… More prosaically, there were any number of Austin London taxis, VW microbuses and Bedford and Commer vans. It didn’t seem all that odd at the time…………. I must say, Ivan, that it’s somewhat surreal to be in the middle of reading For love and a Beetle while you’re dropping in here occasionally. For anyone who hasn’t read the book, I highly recommend it. Am reading this site for the first time here in Assam, North India where I’ve come to, amongst other things, research on the state of the Indian side of the Indo-Burmese Road in Arunachal Pradesh. In 2005 my partner and I left with our 1988 Honda Civic on a journey to drive it back to its spiritual home in Japan. Over the next two years we plan to make preparations to travel on this road and onward to Japan. Any advice or words of wisdom would always be greatly received….. I am lucy Newbery and I am really interested to find out really what my grandad Nigel Newbery did but cannot find any pictures or good sites on the internet with lots of pictures and stuff. Do you know any? The book was the platform for the WHOLE of my career. What an amazing thing for a 14 year old to read…..I subsequently — solely because of the book — became a very (nationally award winning ) geography teacher, set up my own expedition and exploration company, giving up teaching after fantastic 31 years…..owning Land Rovers for the whole of my life (have just bought another ready for an exped next year) …did a 10,000 kms solo LR exped to Arctic Norway in 02 having won a Churchill Travelling Fellowship; now instructing younger generations on how to survive, travel meaningfully……and it ALL started with me ‘borrowing’ my dad’s ‘First Overland’ from his book shelf…..still got it and started re-reading last week (for about the 20th time) before I even knew these websites existed or that there was so much interest. My son follows me into the expedition world at the age of 24……the next generation. Thanks First Overland team…. what a legacy. The book was the platform for the WHOLE of my career. What an amazing thing for a 14 year old to read…..I subsequently — solely because of the book — became a very successful(nationally award winning ) geography teacher, set up my own expedition and exploration company, giving up teaching after fantastic 31 years…..owning Land Rovers for the whole of my life (have just bought another ready for an exped next year) …did a 10,000 kms solo LR exped to Arctic Norway in 02 having won a Churchill Travelling Fellowship; now instructing younger generations on how to survive, travel meaningfully……and it ALL started with me ‘borrowing’ my dad’s ‘First Overland’ from his book shelf…..still got it and started re-reading last week (for about the 20th time) before I even knew these websites existed or that there was so much interest. My son follows me into the expedition world at the age of 24……the next generation. Thanks First Overland team…. what a legacy. The 50th anniversary of my own “ripping yarn” comes up next year so thought I should add my pennies worth, having stumbled on this site in the process of my research. Research which involved unearthing my badly written and inadequate diary; dusting off all the curling, stained and fading photos and fumbling deep in the recesses of my memory. looming, awful future into old age, I innocently fantasised that if I kept going I could eventually go around the world! Inspired by this fantasy I immediately gave in my notice; got labouring jobs to finance the dream and read every book I could find (best was “First Overland”). I Left England 6th August 1960 aged 25, riding the same 1957 125cc Vespa, the wheels of which were small enough to explore, intimately, every corrugation from England to Australia. I arrived in OZ on July 29th 1961 after a wonderful year where I experienced nothing but kindness and generosity from peoples of every race and religion I guess it doesn’t matter who was first, but back then it was a “ripping yarn” adventure and many miles from a velvet-road holiday tour. Thanks to you all above, I’ve just ordered the DVD. We, a team comprising of Oxford and Cambridge students (as the original team well know) are going to attempt to repeat this journey. We will depart on the 1st September 2010. and we will be travelling overland in 2 replica series 1 land rovers. We, a team of Oxford & Cambridge students are going to attempt to re-ceate this journey in 2010. We depart on september 1st (london) and we will be travelling in 2 replica series 1 land rovers, well known to the original team, as with out their help we wouldn’t have been able to make them. Last Sunday (5/3/2011) I bought at a swap meet in Adelaide South Australia, a metal photgraphic slide box with the following details very well illustrated on it’s top. 1956/57AUSTRALIA TO ENGLAND OVERLAND TOUR. departed 20 october 1956 from salisbury north south aust. arrived london — england 17 april 1957. 14,754 miles covered vehicle 1937 dodge. There is a well detailed painting of the car (which was 19 years old when it left) on a “road” between a picture of Australia and another of England. As a Dodge owner I couldn’t resist buying it and now I want to know all about the trip. Does anyone here know of this trip? Was there a return trip. ?